Before answering that question, bounce a bit with me, back to my years of seminary; a time when I balanced (and paid for) the theological world of academia by working as personal trainer at the local YMCA. There were many perks that came from working at the gym, of which relationships ending with the aforementioned line being the first. The free membership allowed me to sweat off the Hebrew scribbles ceaselessly swirling around my head, the community allowed for conversations void of the terms “systematic theology” or “documentary hypothesis theory,” and a steady paycheck provided worldly bread to fill my stomach as I studied and sought the metaphoric, “bread of life.” In light today’s question though, the YMCA provided an interesting analogy for our relationship with, and development as disciples of, the congregational and universal Church. 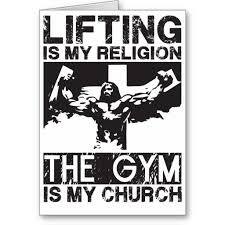 Many a fitness fanatic will refer to the gym as their “church,” sees sweat as their tithe, and may even view their trainer as a pastor, and my work at the YMCA made this more than evident. A workout quickly becomes a religious ritual for many, and after a mere two weeks on the job I could set my watch according to who was on the floor at any given time as well as recite the exact workout routines, choice machines, and even the magazines these individuals would be doing or reading. There is a phenomenon in the fitness world known as the “plateau effect” that will help this to make sense. In a geographic sense, a plateau provides a beautiful and safe place to set up camp and bask in the scenery; however, it is a place of rest, not of growth… it is impossible to summit a mountain without leaving base camp. From a fitness perspective, a muscle requires variation in order to grow stronger. Without variation the muscle loses its mobility and becomes susceptible to injury and atrophy. The same reigns true spiritually. Our soul, much like a bicep, needs to be torn and tested on occasion in order for it to grow stronger, gain flexibility, and develop. The Apostle Paul was no stranger to a good athletic metaphor, admitting in 1 Timothy 4:8 that, “while bodily training is good, training for godliness is much better.” Paul consistently links physical and spiritual training throughout his epistles to encourage his audience to continually seek out deliberative growth and training opportunities. Just as an athlete requires constant variation in their training regiment in order to increase bodily strength, the disciple requires variance in their spiritual practices in order to grow stronger in faith. Almost half a century before Jesus’ birth, the Greek philosopher, Heraclitus, wrote, “No man ever steps in the same river twice.” He further explains, “For it’s not the same river, and he’s not the same man.” Though we may strive for consistency by reciting the same creeds, singing the same hymns, and shaking the same hands, we must realize that the refreshing waters of the spirit will continue to flow around us. The question lies in whether we embrace the refreshing newness of the spirit and welcome the curves and flow of the river of life or bury our feet in the stagnant mud below. All three of the synoptic gospels quote an apocalyptic voice of Jesus, who like Heraclitus declares, “Heaven and earth will pass away,” or change. This may be a scary statement for those who yearn to bob aimlessly in the ponds of the brick and mortar church, but Jesus addresses our fears with the reassurance that God’s presence “will continue to remain the same.” No matter what changes meet us in this world, God’s grace is indeed sufficient, spirit eternal, and love unshakable. In order to experience this eternal spirit, we need to continuously seek opportunities to “grow in the grace and knowledge of Christ… both now and to the day of eternity,” as read 2 Peter 3:18. At last check, the 2nd to last row pew with the cushion three seats to the left bearing the time-tested imprint of your rear side is not “eternity.” Instead, “eternal life,” as Ludwig Wittgenstein points out, “belongs to those who live in the present,” not those who cling to the routines and rituals of the past. Eternal life requires our being content in the moment without becoming so complacent as to set up permanent residence there. Paul calls us away from this risk of complacency in his letter to the Thessalonians. “Indeed you do practice [love,]” or are content with God’s grace, “but we urge you to excel still more.” “Excel” is a strong verb that serves as the root of our call towards continual spiritual growth, and a verb is about action. We are called to be content, but never complacent; to be faithful, but always seeking; and to fully embrace the community in which we find ourselves at any given moment, but never limit ourselves to it. 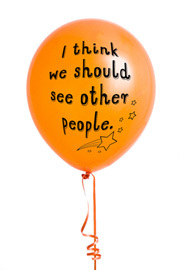 “I think we should see other people.” In a worldly relationship this is usually the end, but in our spiritual journeys, these words are just the beginning and what sets us free to truly seek and experience eternity. How many pastors are too afraid of losing a member to set them free to fly? How many churchgoingers are too afraid to leave the pond to ever experience the magnificence of the oceans? How many dying congregations are too scared to shut their doors so that a new life can be born? 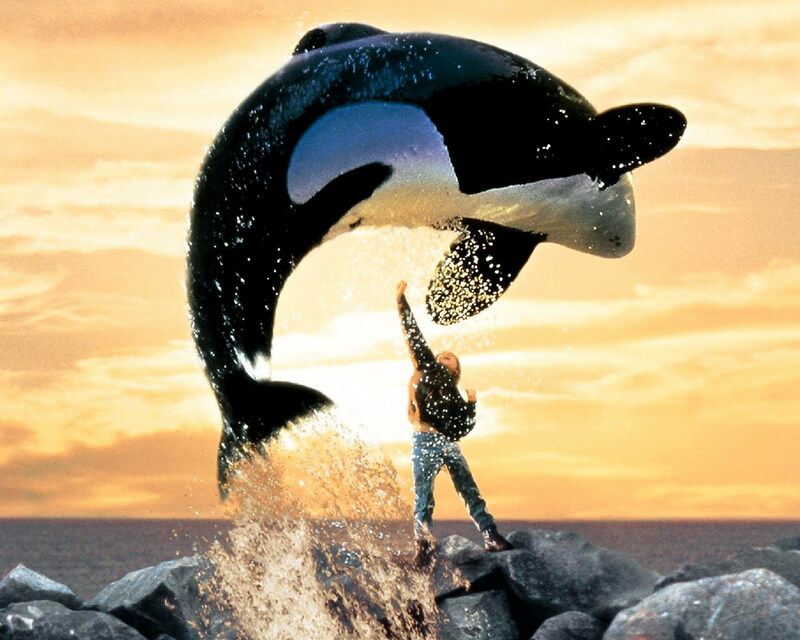 In the movie early 90’s movie, “Free Willy,” where Jesse, the maladjusted orphan friend of a captured whale, stands on a jetty, silhouetted by an ocean sunset. With tear-filled eyes he calls out across the surface of the living waters. “You could be free,” he yells, “I believe in you!” Of course he wants to keep Willy for himself, he loves him, and that love is what raises his hand into the air and sends the ten-ton orca flying overhead to freedom. As sojourners we need to seek new forms of worship, welcome conversations that may make us uncomfortable, and seek out new communities that challenge us to grow. A church is indeed essential, for as Hebrews 10:25 instructs, we should never “give up meeting together, as some are in the habit of doing.” However, a church is also temporal, and as that verse continues, we need to constantly “encourage one another” to seek more.